Geometric objects are powerful representations that can be used to visualize algebraic properties of mathematical objects. Proofs without words are examples of such visual representations. 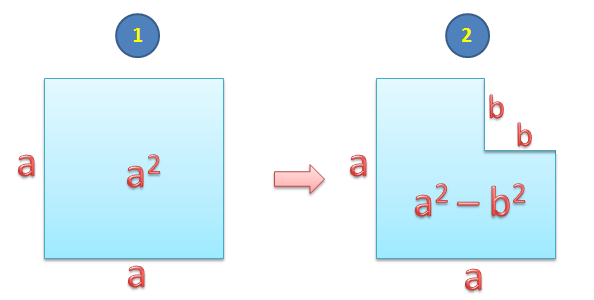 In this post, we relate the difference of two squares to the areas of squares and rectangles. The difference of two squares states that for all numbers and , . The visual representation below, however, only covers the condition that (Why? ).